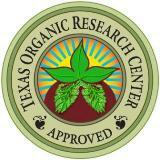 TEXAS ORGANIC RESEARCH CENTER, INC. Most mainstream universities have not been responsive on the subject of profitable and sustainable agriculture and horticulture, organic management techniques, and lowest toxicity products. That simple fact has created the need for the Texas Organic Research Center or TORC. TORC is a non-profit 501(c) 3 research institute demonstrating the effectiveness of organic approaches in gardening, landscape management and agribusiness. We need both personal and monetary support in order to take the next steps in fulfilling our mission. You can help TORC grow with your gift, however great or small. Every dollar counts! Yes! I want to help TORC grow! TORC's Tax ID number is: 75-2927872. Your contribution is fully tax deductible to the extent provided by law.